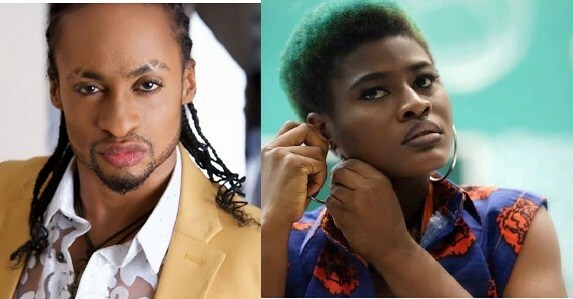 Home / BBNaija / CELEBRITY / ENTERTAINMENT / NEWS / #BBNaijaUpdate: Alex Narrate how Denrele disappointed her. #BBNaijaUpdate: Alex Narrate how Denrele disappointed her. Alex has revealed she feels disappointed in Media Personality, Denrele Edun. The Big Brother Naija housemate revealed she had reached out to him before going into the house, but he didn’t treat her well. She also mentioned Denrele but was quick to add that he disappointed her. According to her, after she found out she was going to be on Big Brother Naija, she reached out to Denrele,and after they talked, he refused to be there for her. She said he stopped answering her calls and DMs and totally avoided her. Despite this,she said she still has love for him and loves the way he expresses himself fashion wise.